1. Property Ground Keeping: Make a general inspection of your entire yard area for dead trees or dead limbs, yard debris, outdoor furniture, or other objects that could be blown by El Nino storm winds. An afternoon spent tidying up the yard and either storing furniture and other loose items indoors or securing them can prevent a frantic scramble to collect items that have landed on your roof or in your neighborsâ€™ yards. 2. Drains and Gutters: Make sure all drains and gutters are cleared of debris and functioning properly before the storm season. If buildings do not have gutters and drains, consider having them installed. Storm water runoff from impermeable sufaces (e.g., roofs, driveways, and patios) should be directed into a collection system to avoid soil saturation. 3. Roofs: Inspect your roof, or hire a roofing contractor, to check for loose tiles, holes, or other signs of wear and tear. 4. Retaining Walls: Visually inspect all retaining wall drains, surface drains, culverts, ditches, etc. 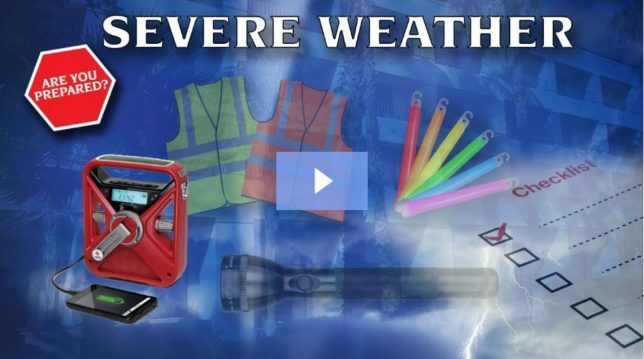 for obstructions or other signs of malfunction, before the storm season, and after every storm event. 5. Slopes: Visually inspect all sloped areas for signs of gullying, surface cracks, slumping etc. Also inspect patios, retaining walls, garden walls, etc. for signs of cracking or rotation. Such signs might be indications of slope movement and if you notice any problems, it would be prudent to have the site inspected by a geotechnical engineer, especially in California fire areas. 6. Storm Drains: Visually inspect nearby storm drains, before the storm season and after every rain; if the storm drains are obstructed, clear the material from the drain or notify the Department of Public Works or public agency responsible for drain maintenance. 7. Follow-up and Other Concerns: If, after taking prudent steps to prepare your property for winter storms, you still have some concerns about slope stability, flooding, mudflows, etc., consider stockpiling sandbags and plastic sheeting. The sandbags can be stacked to form a barrier to keep water from flooding low areas. Plastic sheeting and visqueen can be placed on slopes and secured with sand bags to prevent water from eroding the soil. 8. First Responders: Establish a relationship with a professional restoration company ahead of time. During a storm, restoration companies will be busy. If they know you already, there is a stronger chance you will be placed at the top of the list. Your corporate office may already have a list of vetted companies to call. Fewer tornadoes, a mild hurricane season, lower acreage lost to wildfires, overall less floodÂ and other damageâ€” all in all, 2014 was not as bad as it could have been for natural disasters in the U.S.
Thatâ€™s according to global property information and analytics firm CoreLogic, which released its annual Natural Hazard Risk Summary and Analysis detailing the most significant natural disasters of 2014 and providing several projections for 2015. The report provides a look at the yearâ€™s hurricanes, floods, hailstorms, tornadoes, wildfires, sinkholes, earthquakes, tropical cyclones and typhoon events in the U.S. as well as an international snapshot of the hazard events that caused significant damage across the globe. The town of Culpeper continued to dry out Tuesday following torrential rainfall that dumped 5.5 inches of rain in four hours early Monday, sparking flash floods that displaced some 50 residents from an area motel. Over at Sleepy Hollow Motel on Bus. 29, owner Urmila Patel, of Culpeper, frowned deeply at the massive clean-up ahead of her to 24 of the 34 motel rooms that sustained water damage when the banks of nearby Mountain Run ran over after midnight Monday. Furniture, TVs, and mattresses from the rooms sat neatly stacked in the parking lot of the motel Tuesday as she waited for the insurance adjuster to arrive to assess damages. Piles of clothes left behind included a toddler’s shirt while discarded food items consisted of bags of bread, pizza boxes, soda cans and milk, evidence of recent occupancy. Two eateries next door to each other in northwest suburban River Grove were in very different stages of cleanup on Tuesday, as flood waters from the Des Plaines River slowly receded. WBBM Newsradioâ€™s Bernie Tafoya reports, next door at the famous Gene and Judeâ€™s Red Hot Stand, a big flood cleanup was underway on Tuesday. Workers were seen donning respirators while cleaning up inside on Tuesday, and tossing out flood-damaged debris, while the McDonaldâ€™s next door was getting ready to open for business. Itâ€™s not that the flooding wasnâ€™t as bad at the McDonaldâ€™s, it was the result inside the two restaurants. â€œItâ€™s money well-invested,â€ Karayanes said. 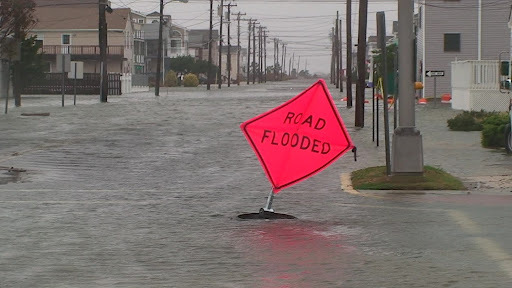 The NFIP provides insurance for homes and businesses in flood prone areas, such as Cape May County. Created in 1969 to fill the gap after private insurers declined to continue coverage for property owners in flood-prone areas, it now covers more than 5.6 million policyholders in 21,000 flood-prone communities. By the end of the second day after Superstorm Sandyâ€™s powerful storm surge overwhelmed coastal areas of New York and New Jersey, the National Flood Insurance Program had already recorded more flood claims than the total for Hurricane Katrina, a storm that devastated the Gulf Coast in 2005. William McMahon III, president of the McMahon Agency Insurance in Ocean City, said Sandy has since far surpassed the notorious Katrina. Katrina, he said, delivered both flood and wind damage. Sandyâ€™s damage was primarily from flooding. Few claims, he said, have been filed for wind damage. Not long after Katrina, Hurricane Wilma tore across southern Florida, causing massive destruction. In the wake of those two storms, barely two months apart, insurance companies bailed out of writing property and casualty insurance policies in some areas of Florida. The state of Florida, he said, instituted its own carrier, Citizens, now the largest underwriter in the state. Florida and Louisiana, he said, are the two most difficult states to obtain property insurance. 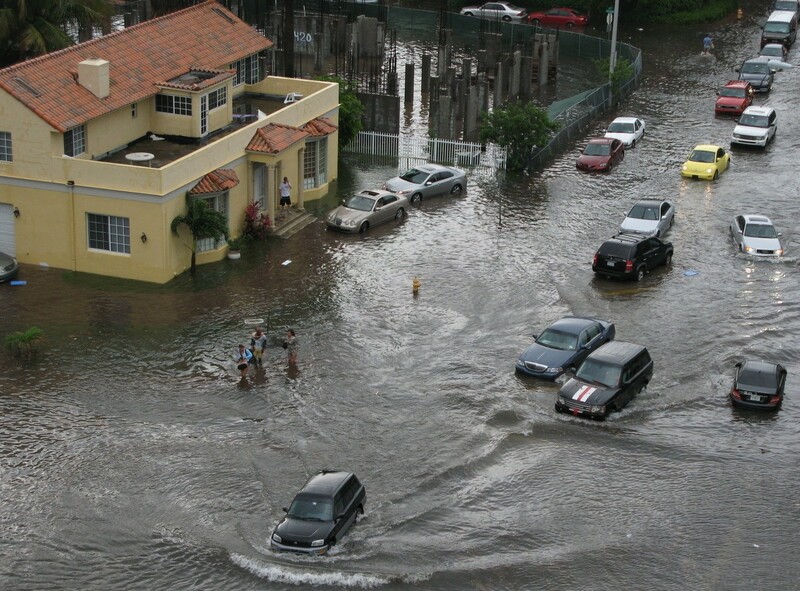 While flood insurance is available in Florida, it is expensive, particularly close to the coast. Under the NFIP, non-residential businesses can purchase up to $500,000 in building and $500,000 in content coverage, while residential businesses can purchase up to $250,000 in building and $100,000 in content coverage. Marshâ€™s Flood Service Center can place up to $30 million in excess of NFIP flood insurance, including business interruption, with A-rated insurance capacity. According to NFIP, almost 40 percent of small businesses never reopen following a disaster because of water damage. 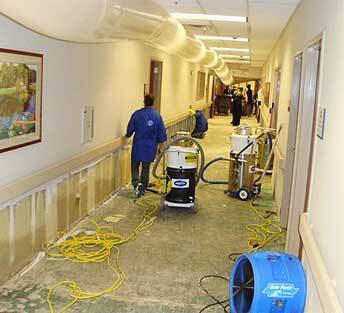 Over the past five years, the average commercial flood claim has been about $75,000. Interest among businesses in purchasing flood insurance coverage from the National Flood Insurance Program (NFIP) is increasing in the wake of Superstorm Sandyâ€™s heavy rain, record storm surge, and resulting widespread flood damage, according to insurance broker Marsh. 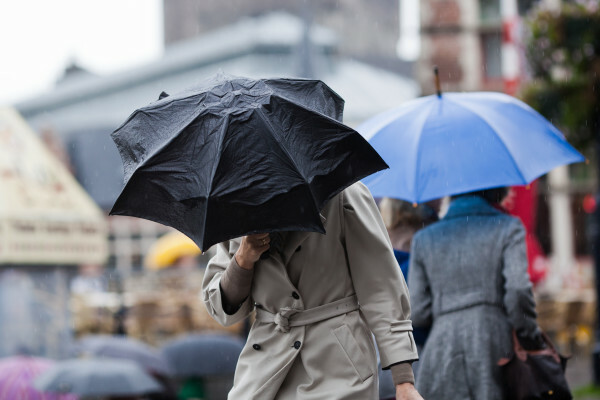 Although most companies purchase commercial flood insurance through the private market, more are now inquiring about purchasing additional coverage through the NFIP. When used in tandem, NFIP coverage can mitigate or â€œbuy downâ€ large deductibles associated with commercial flood policies or simply provide additional coverage. 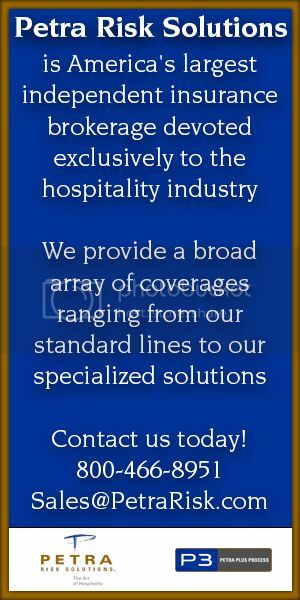 Hospitality Industry Property Risks: Hotels Suffer Extensive "Water Damage" From Hurricane Sandy, Requiring An "Extraordinarily Complicated Repair Process"
First off, Eblin Group’s Scott Eblin shares the five tips leaders can glean from New York City’s Mayor Michael Bloomberg about crisis communications. The gist: project quiet confidence, be consistent and frequent, be relevant, make specific requests, and put the team front and center. Next check out “Crisis situations call for clear communication plans” from the Hotel Management archive. 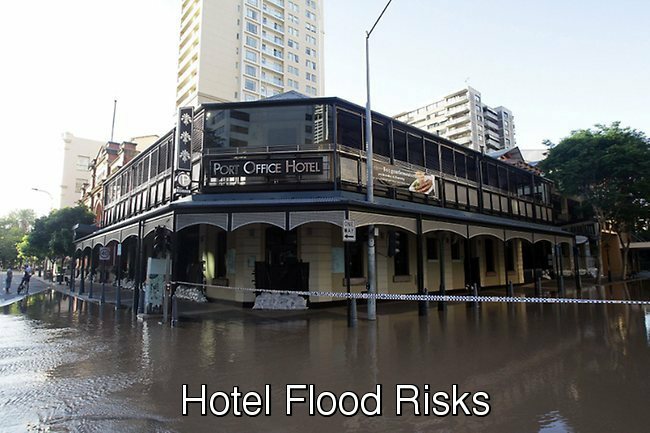 Learn from hoteliers who dealt firsthand with Hurricane Katrina; when it comes to water damage, trust the experts. From “Lessons learned in the Big Easy,” (Hotel Management, 2009) see how hotels in New Orleans made it through Katrina and Gustav with clear emergency plans in place. And where there is water, there’s potential for mold. Check out the EPA’s list of ten things to know about mold here, as well as resources for flooding and mold remediation. (Scroll to the bottom of the article). So what about insurance claims? Check out Hotel Management archived articles about contingent business interruption coverage and steps for handling an insurance claim. Comments Off on Hospitality Industry Property Risks: Hotels Suffer Extensive "Water Damage" From Hurricane Sandy, Requiring An "Extraordinarily Complicated Repair Process"
Hospitality Industry Property Risks: Washington DC Restaurants Damaged In 2011 Flood "Reinvent Themselves" By Rebuilding With "New Concepts"
Three restaurants at Washington Harbour are preparing to reopen after the spring 2011 flood that covered parts of the K Street complex in 10-plus feet of water. Tony and Joeâ€™s Seafood Palace and Nickâ€™s Riverside Grill are expected to fully open at the end of this week, and Farmers and Fishers plans to reopen as Farmers Fishers Bakers at the end of October. All three closed after an April 2011 storm during which MRP Realty, the company that manages the complex, raised only three-quarters of the floodgates that block the establishments from the Potomac River. Nick Cibel, whose family owns both Tony and Joeâ€™s and Nickâ€™s Riverside Grill, said the flood was devastating, but he and his relatives have made the best of the situation. Both Joeâ€™s and Nickâ€™s have been operating with outside seating and a reduced menu since about a month after the flood, while the interiors have undergone renovations. Tony and Joeâ€™s has an updated design that allows for a wider, unobstructed view of the river. Nickâ€™s Riverside Grillâ€™s square footage has increased by 25 percent, and the restaurant will carry more international cuisine. 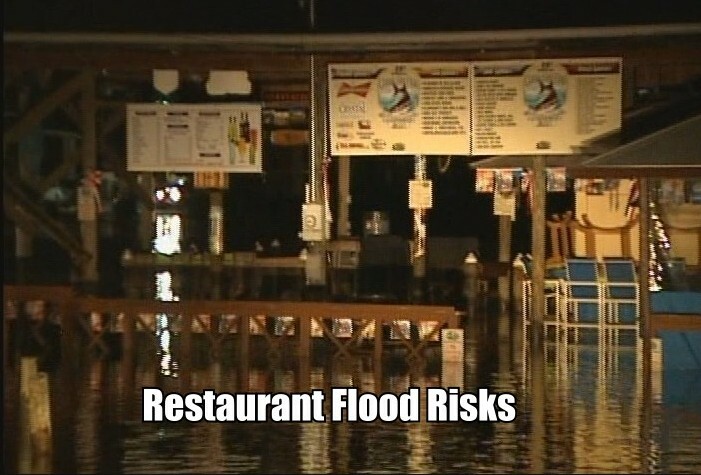 Comments Off on Hospitality Industry Property Risks: Washington DC Restaurants Damaged In 2011 Flood "Reinvent Themselves" By Rebuilding With "New Concepts"
The rain started on July 27, 2011, and by 1 a.m. on July 28, the flood gates were ordered closed. Everything the City of Galena had done to help prevent the flooding of downtown wasnâ€™t enough as the rain came, the sewers backed up, and the water rose to 27 inches in some places. One of those places was the historic DeSoto House Hotel. Owner Dan Kelley surveyed the damage while making sure current guests were alright. The air-conditioning was out, as well as the hot water. Some guests left, but most stayed, insisting on paying full rate for their stay. The hotel never closed its doors.